If you have seen my blog postings throughout 2016 you would have come across my “theming” series which covered the basics around the creation & subsequent management of Portal Themes along with some of the common issues which may arise in EP based environments. In this blog posting I am going to touch base on the “Corbu” theme and its utilization due to my personal experience with Incidents over the years in which several issues were highlighted with this theming based solution. In itself Corbu is a relatively “fresh” theming based design structure that brought about a notion of simplification to Portal Theme types. I’ve come across many different scenarios in which the question was asked on whether or not “Corbu” was in itself supported and here I will shed some light upon this. As of the SAP Enterprise Portal NW 7.31 SP7 and NW 7.30 SP9, the Portal itself (header etc.) was adjusted to include the SAP Corbu colors. In previous cases the Corbu theme could be used only for applications that support Corbu and the rest of the portal content (apart from Corbu applications) would still appear in default theme setting e.g. tradeshow theme. So can I use Corbu Now? It is usually not recommended to use sap_corbu theme and hence it is removed in the higher versions i.e. the corbu theme is not recommended for utilization. When you use applications that are not released for “Corbu”, a red error message will appear and SAP Support does not accept liability for this. For example if we review Note 1681286 we see Corbu is not supported in SAP GUI for HTML. 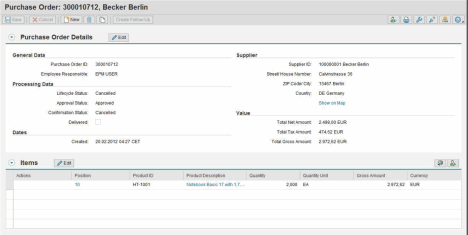 Secondly with the Enterprise Portal there is a core document which should be referenced and reviewed in this case which is that of SAP Note: 1783618 – Visual design “SAP Corbu” for Enterprise Portal (EP). In truth you can only use Corbu theme ONLY for applications that support CORBU.